This moment on the Lectionary calendar speaks, among other things, to the significance of the Lord’s Supper, and portends the events which follow on the Mount of Olives according to the account given in Luke’s gospel. As a complement to the commentary for Holy Thursday, this cultural resource unit emphasizes themes of service, humility and the submission of Jesus to the will of God that leads Jesus to Calvary. As the disciples celebrate Passover dinner with Jesus, they have little idea of what the immediate future holds including, their failure, betrayal, and denial of him at the time when he needed them most. Therefore, this cultural resource unit emphasizes this Holy Thursday evening as the precursor to the dark afternoon of Good Friday followed by the victory of Easter Morning. Tenebrae Service (gradual dimming of lights until the sanctuary is totally dark, signaling the events of Good Friday and the extinguishing of The Light; the congregation exits in silence. Foot washing (pedilavium1 in Catholic traditions) is a practice associated with Holy Thursday services based on the account of the Last Supper in John 13:1-17. In this gospel, Jesus gets up during the meal and begins to wash the feet of the disciples with a towel. This was not a new gesture. Since travelers walked on dusty roads in open sandals during biblical times, foot washing was a customary sign of hospitality for dinner guests. Either the host would wash their feet, provide means for them to do so, or would have a servant perform the task. There are earlier accounts of foot washing in Scripture (e.g. Gen 18:4, Judges 19:6-21, 1 Sam 25:40-41). However, what made Jesus’ act a surprising one was that he did this during the meal. In doing so, Jesus presented a stark contrast of radical humility and servanthood against the disciples, who in the Luke account of the last supper argued about greatness during the meal (Luke 22:24-30). Most African American faith communities are familiar with the practice of foot washing, although it is not observed in many churches.2 The ritual has experienced various degrees of popularity in church history because of dogma, awkwardness and embarrassment. However, in 1955 Pope Pius XII restored foot washing as part of Holy Thursday rituals for the Catholic Church. 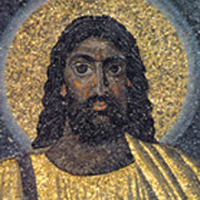 While it has always been part of Western, Eastern, and Coptic Orthodox traditions (particularly in Ethiopia), in recent years it has become a part of Holy Thursday services for African American congregations especially in Pentecostal traditions; particularly the Church of God (TN) and the Church of God in Christ, Baptist and African Methodist Episcopal (AME) churches. There are no statistics that speak to its’ rise in usage as a ritual, religious scholars have noted that the application of foot washing in the reconciliation process has been on the rise. For example, African American and white Christians have washed one another’s feet at racial reconciliation gatherings in several states. In a worldwide Christian conference, a group of Hutus and Tutsis, who were bitter enemies during the civil war in Rwanda, washed each other’s feet.3 These instances point to the powerful witness presented in foot washing as a symbol of Jesus’ command that his disciples love one another and are called to serve one another. No meal has had a greater spiritual impact throughout the ages than the one on Holy Thursday, the Last Supper which was held in the Upper Room. It is in The Upper Room where Jesus shares the extent of his love with those who follow him. The bread represents a love that causes Jesus to willingly allow others to break his body on their behalf. The cup represents a covenant, written in blood, that Jesus makes to his disciples on this night and in days to come. The centrality of the table and the bonds of love created at the Last Supper still hold the same importance in the events of our past, in our present activities, and for our future actions as African Americans. Some of my favorite memories of the table as a boy were meals served by my grandmother in Danieltown, Virginia. The entire Palmer clan would be there, as many were gathered around the kitchen table as possible, to savor the aromas, to indulge in fried chicken, navy beans and tomatoes; Virginia ham so salty it needed catsup to curb the saltiness, topped off by a slab of caramel cake or pie. And it was Grandma (“Big Mama” as she was called) Palmer who delighted in making everyone’s favorite dish no matter the number present. Family, community, and bonds of love were created and strengthened at the table. And it was the table that, for those brief sweet moments, offered some deliverance from the racist world beyond the dirt road leading to my grandparents’ home. Such memories impart the importance of the table to our faith as African Americans. As slaves we were denied places at the table of the plantation owners. Jim Crow laws allowing “separate but equal’’ eating establishments denied us the privilege to eat at restaurants, and when allowed in, we experienced inferior food, service, and seats in the least desirable area. We still struggle for a place at the table in corporate boardrooms, in government chambers, and in halls where public policy is created and implemented. Nonetheless, Jesus invites us to the communion table where the food may not be extravagant, but the welcome is. And it is at Christ’s table where we are welcomed, where we are affirmed, where we are on equal footing. Tenebrae is from the Latin for shadows. A service of Tenebrae generally begins with full lighting at the beginning of the worship. As the service continues with a series of readings and songs, there is a gradual dimming of the light until the entire sanctuary is dark. Protestant denominations (particularly Episcopal, Lutheran, and Presbyterian churches) generally include Tenebrae on Good Friday. When the church becomes dark, there is a loud sound such as the stomping of a foot or the slamming of a book against a pew. This symbolizes the earthquake which followed the death of Jesus Christ in the gospel accounts. However, Catholic churches employ Tenebrae in Holy Thursday, Good Friday and Holy Saturday services. This service may be accompanied by Communion and foot washing as part of an entire Holy Thursday worship. The Tenebrae service on Holy Thursday at the Riverside Church in New York is one of my favorite services of Holy Week. There is little more powerful than to see the huge nave of the church (one of the largest Gothic Cathedrals in the country) completely dark and to hear the silence as the congregation leaves. The dimming of the light could be a very effective and moving part of Holy Thursday worship. The following spiritual was sung in my home church, St. Stephen Baptist Church, in Washington D.C. Deaconess Emma Gregory, perhaps, created the second verse that I recall from my childhood memories. The congregation would sing this song during communion or with a leader as an opening for the worship. May we set out to win the prize and after glory run. If Thou withdraw Thyself from me, Oh whither shall I go? In Thy footsteps daily walk. See also, Tirabassi, Maren C. and Kathy Wonson Eddy. Gifts of Many Cultures: Worship Resources for the Global Community. Cleveland: United Church Press, 1995.